A handful of short articles and posts based on my travel experiences designed to encourage others to travel too. No buts, just get out there! 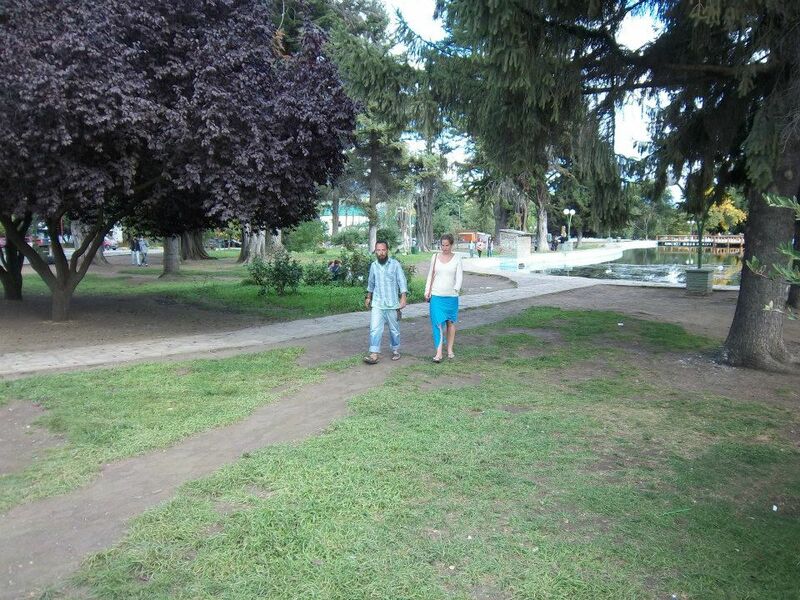 Last November, my mother and stepfather flew out to Argentina to see me which, after almost a year apart, was a very welcome visit. 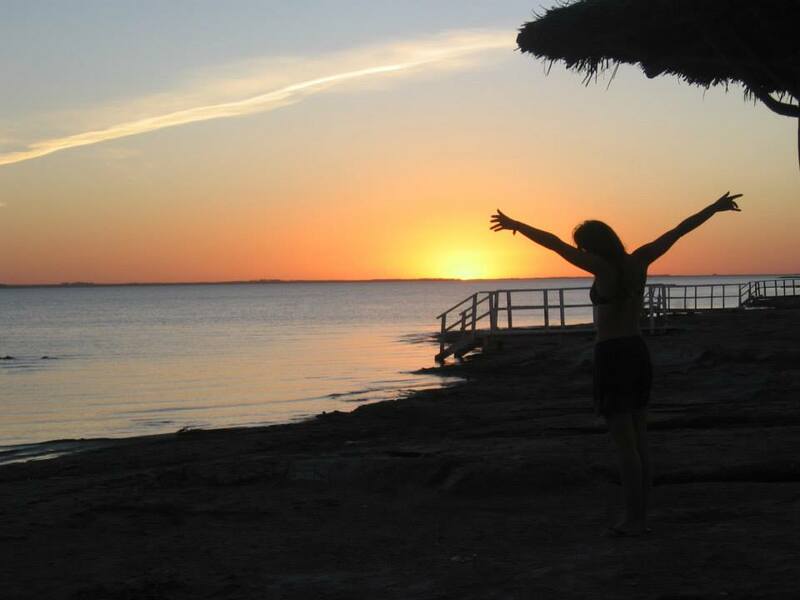 I had composed a three-week itinerary for us which included a weekend in Colonia, Uruguay, as it’s such a charming little town and is just a stone’s throw from Buenos Aires. Our first full day in Colonia consisted of exercises on the beach (the mother’s request) followed by a bike ride along the road adjacent to the beach. Back in the centre, we had the pleasure of stumbling across a small and very homely restaurant owned by a delightful old man, who presented us with an equally delightful menu featuring mouth-watering fish and seafood dishes. As we sat back in our chairs on the cobbled stone streets and chinked glasses of crisp white wine, we all agreed that coming to Colonia had been an excellent choice. The day only continued to get better; lunch had left us more than satisfied, though we couldn’t resist the urge to buy a cheeky ice-cream, just to top it off. We browsed the town some more before returning to the beach, where we sat and drank mate, enjoying the slightly cooler temperature of the late afternoon. There was a bar, situated right beside the beach, which we decided to stop at as the sun was setting. 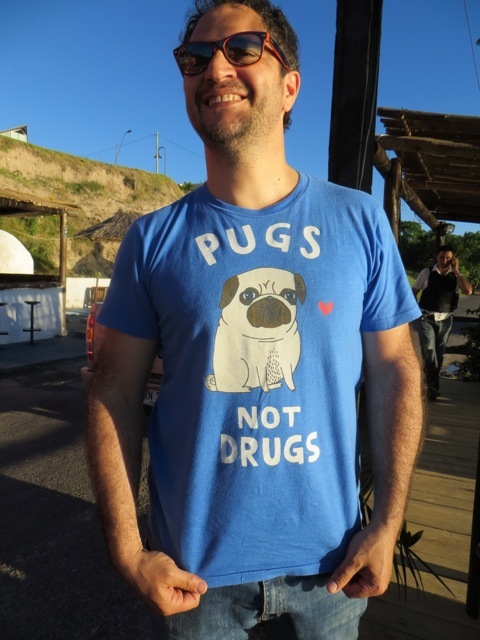 It was there that I spotted a young man with a t-shirt that read ‘Pugs Not Drugs’, which instantly made me burst out laughing. I approached him and asked if I could take his photo, explaining that it was because I enjoyed his t-shirt’s slogan, not because I was some sort of creepy tourist. The man, whose name was Sebastian, willingly obliged and then we began chatting, together with my mum and stepdad and Sebastian’s wife, Andrea. After a while, they informed us they had to return home, but left us a piece of paper with their addess, along with a casual invitation to join them for a glass of wine later on. That evening, we made our way to the historic centre of Colonia and followed the directions to Sebastian and Andrea’s house. Upon arrival we literally gawped- the place was huge. As they welcomed us inside and began to show us around, our mouths only grew wider, for this was one magnificent old building. 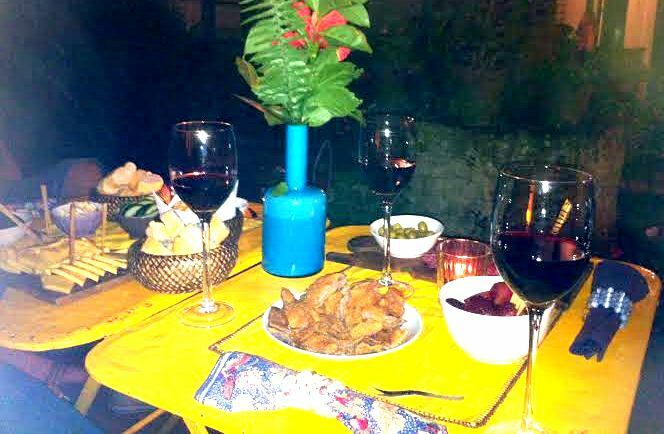 We then followed them out on to the patio, where a small, beautifully presented table, which not only consisted of wine, but a wide array of Argentinean tapas, awaited us. My eyes eagerly passed from a bowl of olives to bread, ham, sardines, roasted vegetables and a plate of mini milaneses. Everything looked and smelled delicious. Sebastian poured the wine into four large glasses and we each took seats before toasting to the lovely couple and thanking them for their hospitality. Hours passed as we talked, ate and drank into the night, not what I was expecting after Sebastian had simply said “Drop in, if you feel like it” earlier that day; thank goodness we did ‘drop in’, or all that lovely food and the time taken to prepare it would have gone to waste! Eventually we decided to make our way back to the hotel, smiling all the way and discussing what a wonderful evening it had been. 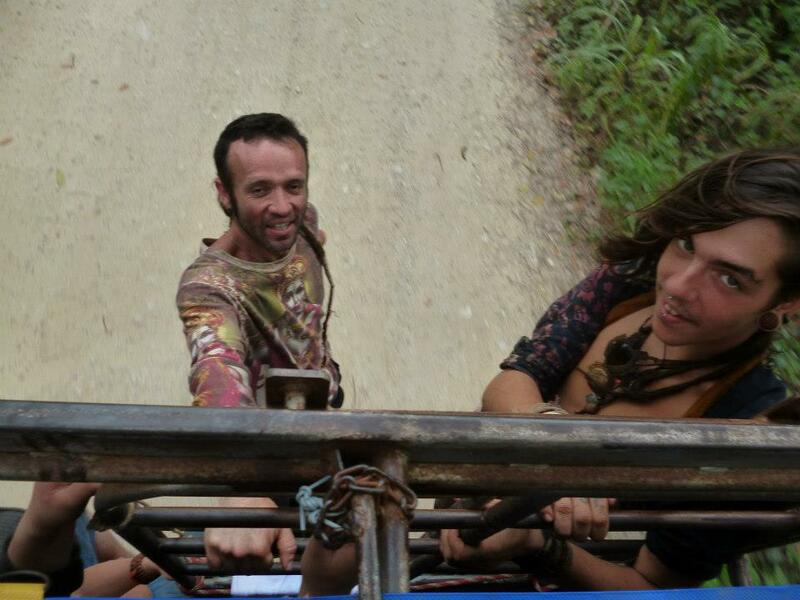 It’s people like Sebastian and Andrea that really make travelling on this continent such a pleasure. 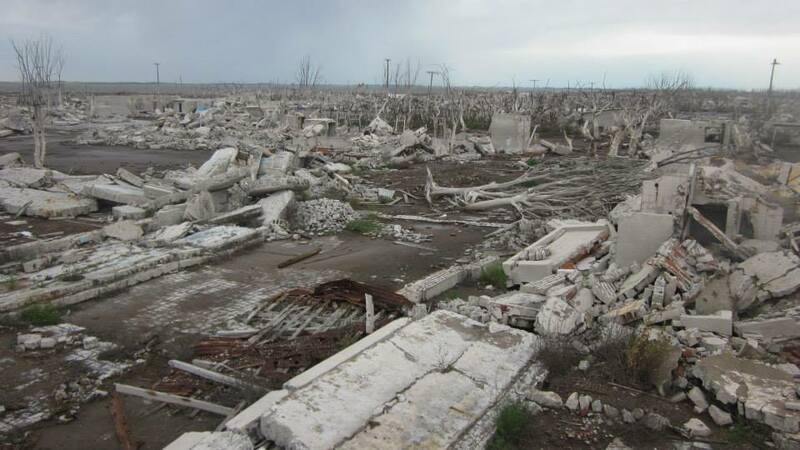 Last year, I visited the ghost town of Villa Epecuén for the weekend with a couple of friends. 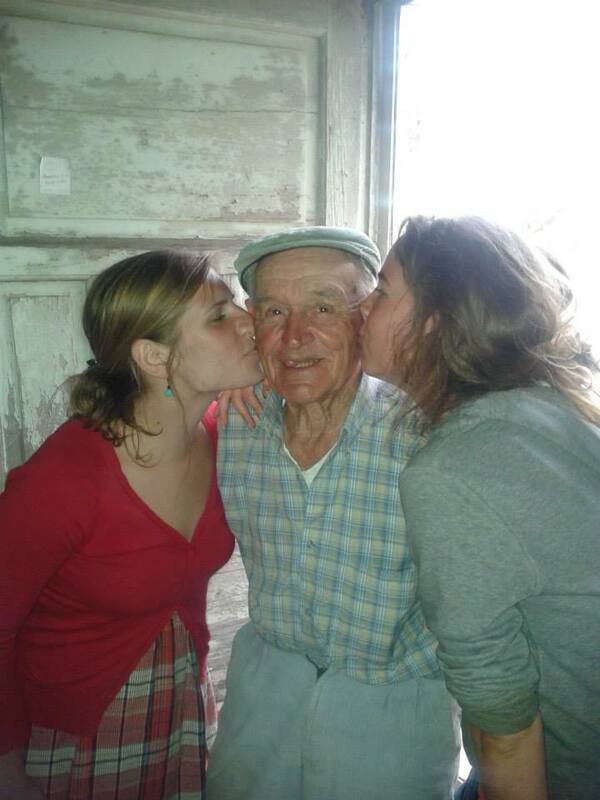 We had the pleasure of meeting the town’s last remaining resident, Pablo Novak, who fled along with everyone else when the town was flooded back in 1985, but chose to return once the flood waters had receded. Pablo had proudly shown us articles based on Epecuén’s story, and demonstrated his collection of photos of the town, past and present. 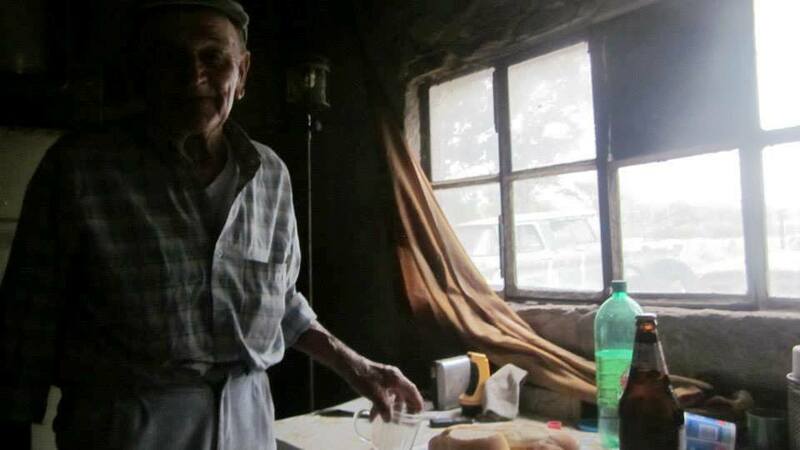 His loyalty to Epecuén touched me, and inspired me to write an article based on our experience there, which I wanted to send him. However, Pablo lives without electricity and I don’t even think the post reaches his small house in the woods, so before I left I asked him how I’d be able to show him what I’d written. He then told me to contact his grandson, whose name was Christian, before scribbling his email address down on a scrap piece of paper for me. A week or so later, I wrote my article and sent it Christian’s way, along with a note explaining who I was and why I’d chosen to write about Epecuén. To my delight, Christian was really excited to receive my message and thanked me profoundly for my words and photos. We continued to talk over Facebook and at one point he offered to host me, should I wish to return to Carhué, Epecuén’s neighbouring city- I decided to take him up on this offer. Christian picked me up from Buenos Aires on Tuesday March 18th and drove me to back to Carhué, along with his father and, throughout the journey, both quizzed me on my opinion on, well, pretty much everything! I was asked what I thought about Margaret Thatcher, Rolls Royce, French perfume, the Argentine president, mate, Benny Hill, Rover, some Italian motorcycle brand I’d never heard of, the Falklands War… by the end of all the questioning, I was exhausted and passed out in the back of the car. As I awoke, we were just pulling into Carhué. Christian showed me into his house and insisted that I took his bed, while he slept on the sofa. Part of me was reluctant to do so, for I felt it was a bit unfair that I should have his nice comfortable bed after he’d done all the driving, but the other part was very grateful for such luxury. We both enjoyed a cup of tea at his kitchen table before saying goodnight to one another and heading bedwards. I felt like my head had barely hit the pillow when I awoke to the sound of karma karma karma karma karma chame-le-on blaring out of the speakers. It was morning, my first morning in Carhue, Christian was making breakfast with 80’s songs playing in the background, the sun was shining and I felt very content. Over the course of the next two weeks, I met all of Christian’s friends, went on lengthy walks, joined a tennis class, swam in the salty lagoon, played cards, ate copious amounts of meat and drank copious amounts of mate. 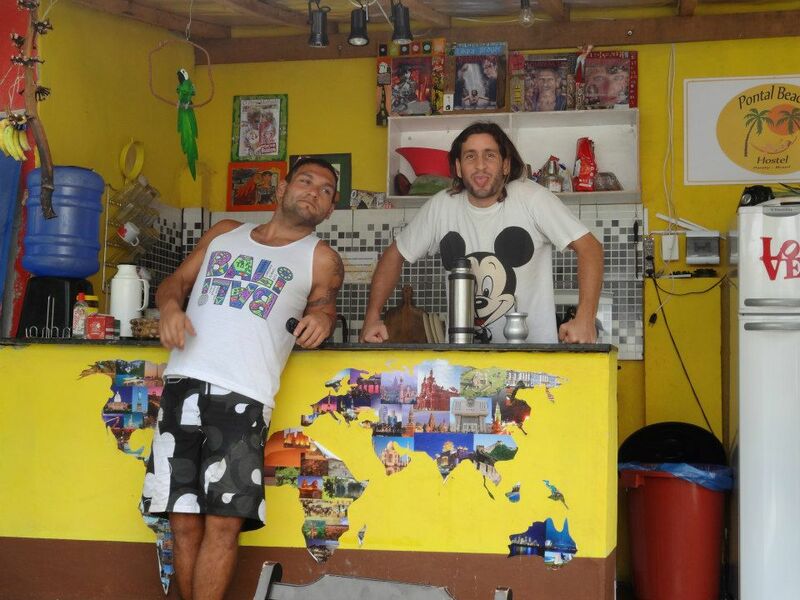 Two backpackers, who had previously visited Carhué as part of their trip, returned and they too were welcomed into Christian’s house. 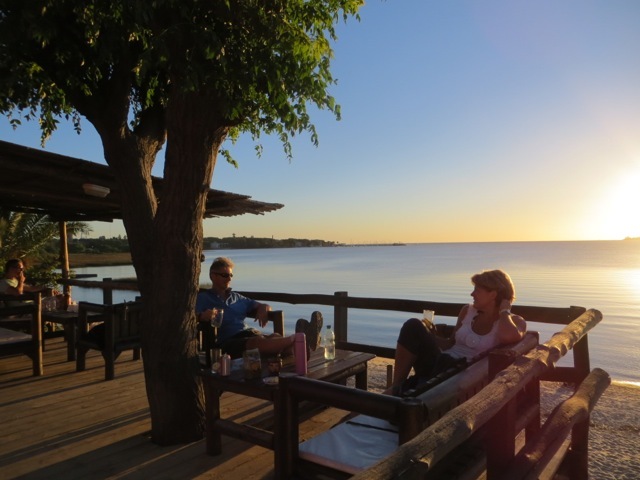 The four of us enjoyed many meals cooked by the other residents of the city, sunsets on the beach, music at all hours of day and night and soaking up the relaxing atmosphere that came with this beautiful, special place. One day, we were invited to an amazing house in the countryside, where we ate asado in the sunshine, trotted around on horse-back and explored the seemingly infinite grounds. My last two days, however, were perhaps the most special; I had met a Bolivian woman the previous week when asking for directions and we had begun chatting, then she introduced me to her two children and we spent some time together, before I told her I had to move on. After she urged me to return, I made sure I did so, taking the remains of an apple crumble I’d made the day before with me. Seeing the joy on this woman’s face when I went back to see her was really touching; I hadn’t expected my visit to mean so much to her! She welcomed me into her house, where she served fresh fruit and wonderful home-made bread, and we chatted some more, while the children ran about the kitchen excitedly. I stayed for a while, helped the elder of the two girls with her maths homework (though I think she was more capable of multiplying fractions than I was) and then bid farewell to the family once again. On my last night, I cooked a spaghetti bolognese for Christian and his friends, and we ate, drank red wine and reminisced about the past days spent together, all of which had been very happy… and it was all thanks to that one article! And Christian’s good, kind nature of course. To all the people from Carhué who read this, gracias por todo y espero verlos pronto! Besos, chau for now! The legendary Burning Man in Nevada attracts thousands of festivalgoers each year and, as a result of its success, different versions of the festival now take place in South Africa, Spain, Australia and Japan to name a few. This year saw the birth of Burning Argentina, aka Aurora, near a small town called Bragado in the Buenos Aires provinces. After hearing the news from a friend’s housemate, I instantly decided this was something I simply couldn’t miss. 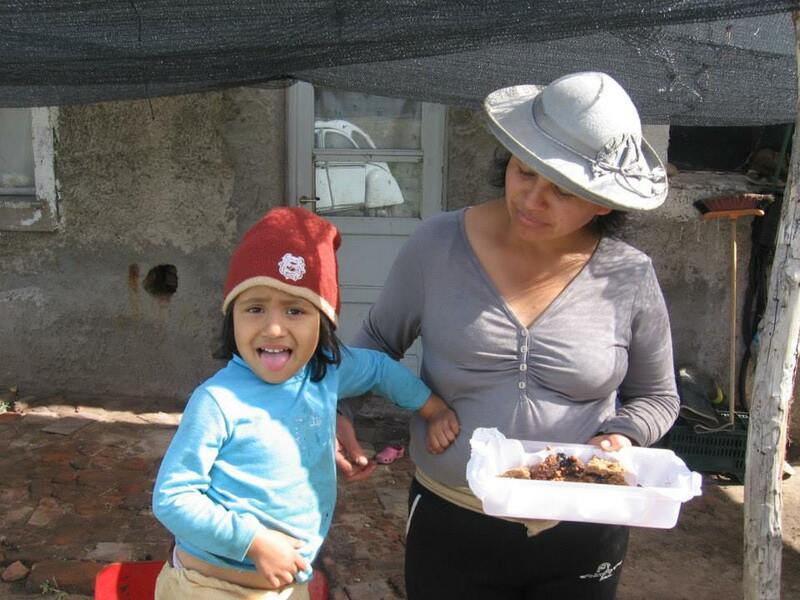 The week leading up to the event was spent buying and preparing meals to take with us, choosing which fancy dress to wear and ensuring that we had all the necessities for four days in el medio de la nada. After waking up early on Saturday to pack the car, we set off with a box of hash brownies for breakfast and three hours of pounding trance to get us in the mood. We managed to reach Bragado without any problems, but then got significantly lost (probably the fault of the brownies) when trying to find the exact location of the festival. 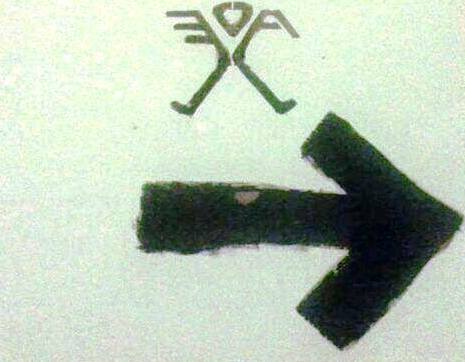 Eventually we saw the Aurora symbol on a white gatepost, the entrance to the festival; we’d made it! Upon arrival, I was quite surprised at how few people there were, but as the festival progressed I began to realise this was a good thing, as it made for a more intimate setting. I decided to take it easy that first day, get to know our neighbours and explore our surroundings. A five-minute walk from the campsite was a forest, which had been decorated with multi-coloured mannequins and other miscellaneous objects, such as light bulbs and a phone box. 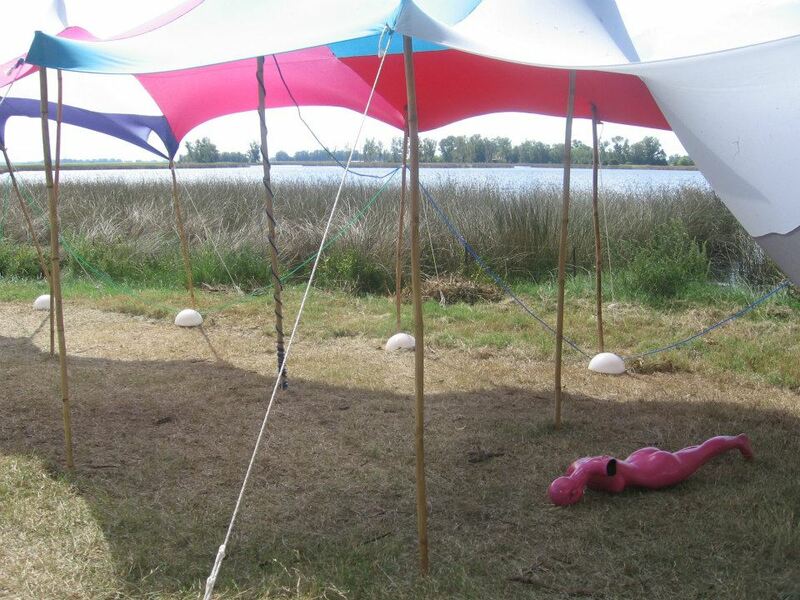 The DJ booth had also been set up there and, on a vast patch of grass just behind, lay the wooden man himself. After wandering around for a bit, I joined in on the communal asado and chatted to the others over a few cups of wine, before gradually drifting off beside the campfire. The stifling heat made it nigh on impossible to sleep in, so we got up early the next morning and headed to the lake for a swim. 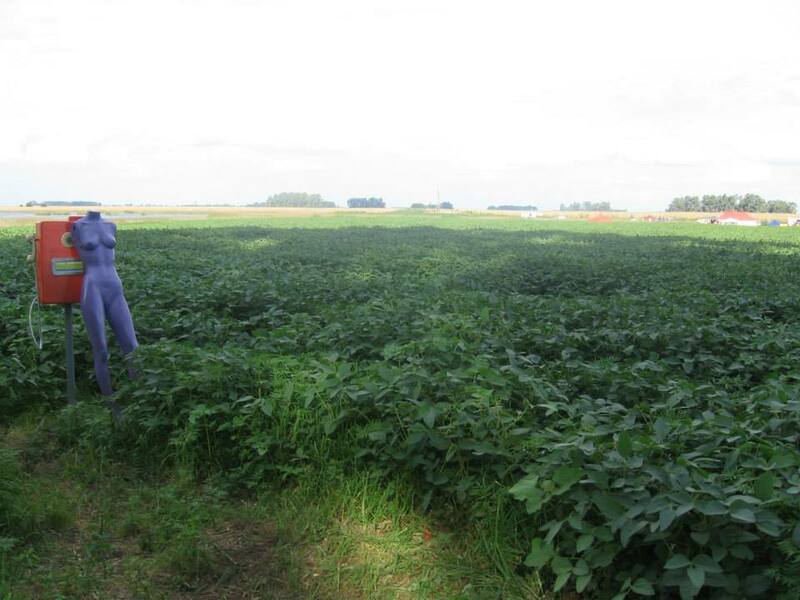 The temperature of the water was perfect, the soft mud at the bottom massaged my feet and, as I observed my surroundings, I could see nothing other than trees, butterflies and seemingly endless fields of corn. We were as remote as remote could be and that made me incredibly happy. People found different ways to amuse themselves during the day; the more active ones would embark on adventurous trails, kick a football about and kayak along the river, whilst others would relax with music and card games, draw pictures and smoke shisha. As the sun went down, everyone would don their costumes and walk around handing out little gifts such as lollipops, whistles, glow bands and stickers. 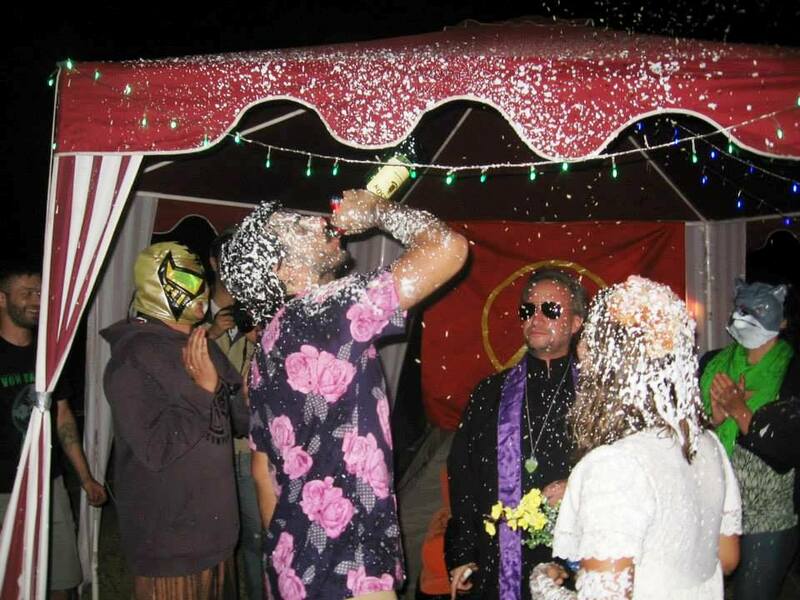 Unexpectedly, there was a wedding that night, conducted by men in masks, which saw the bride and groom get covered in foam as spectators cheered, took pictures and threw rice on them. Up at the woods, various different DJ’s played a mixture of music, ranging from ambient to techno to trance, while we danced and waved our glow bands in the air. Each time cold got the better of us, we’d sit by the fire just metres away, engage in conversation with whoever else happened to be there, then return to the ‘dancefloor’ and continue. It was very easy to lose track of time, and all of a sudden I noticed it was getting light and the birds were starting to sing, as day three of the festival emerged. Our last day was a good one, we hadn’t had very much sleep (again), but I felt very content nonetheless. We walked, swam, cooked pizzas on the parrilla, watched a live band up at the forest, then prepared ourselves for the climax of the festival: watching the man burn. 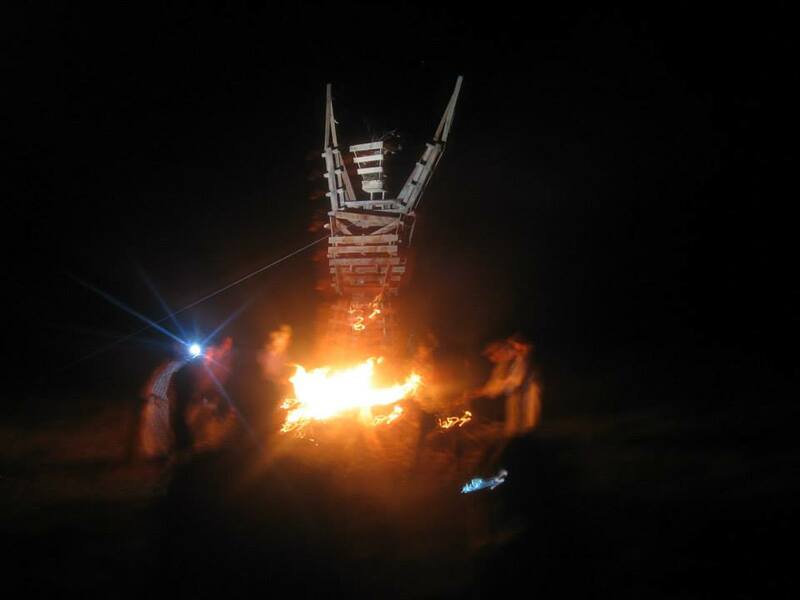 This was quite a spectacle, which began with a procession from the campsite to the top of the hill, where the man had been raised and was ready to be ignited. As flaming branches were hurled upon him, the crowd stood and watched, their claps and cheers growing louder the more he burned. People had gongs and drums, one man even played his violin throughout, rendering it all the more mystical and dramatic. Eventually, every part of him had fallen and, as the last bit of wood turned to ashes, the beats from the DJ booth started up once again. More masks, more dancing and more strange and rather trippy episodes, such as seeing a baby armadillo run through the crowds, were to follow as we partied on into the night. The blissful sunny weather that we’d been fortunate to experience finally abandoned us in the early hours on Tuesday, the last day of the festival. Once we realised that the rainwater was coming in through our tent and everything was getting soaked, we got up, packed our things in plastic bags and quickly shoved them into the car. On the way out, the car got stuck in the mud three times and had to be pushed, but we eventually made it back to Bragado, where we sat in a petrol station café, damp and delirious, clutching warm cups of coffee. It wasn’t the best end to the festival, but we’d had such fun that it seemed totally worth it, and I have nothing but fond memories of Aurora 2014. Había unas personas del festival que no podían leer el articulo porque no saben leer inglés. Por eso, un genio que se conoce con el nombre de Cris Ferloni hizo una traducción, para que todos puedan entender. Un enorme gracias Cris! El legendario Burning Man en Nevada, atrae a miles de personas al festival cada año, y como resultado de su éxito, diferentes versiones del festival tienen lugar en Sudáfrica, España, Australia y Japón por solo nombrar algunos. Este año vimos el nacimiento del Burning Argentina, bajo el nombre de Aurora, cerca de un pequeño pueblo llamado Bragado en la provincia de Buenos Aires. Después de habanos enterado de esto por medio de un amigo de un chico que vive con nosotros, instantáneamente decidí que era algo que simplemente no me podía perder. La semana previa al evento nos la pasamos comprando comida para llevar, eligiendo que disfraz iba a usar y asegurándonos de tener todo lo necesario para esos 4 días en el medio de la nada. Después de despertarnos temprano el sábado, cargamos el auto, nos pusimos en marcha con un paquete de brownies con hachís para desayunar y tras tres horas palpitando el evento para ponernos en ambiente. Nos las arreglamos para llegar a Bragado sin ningún problema, pero entonces nos recontar perdimos (probablemente por culpa de los brownies), mientras tratábamos de encontrar la dirección exacta del festival, de repente vimos el Símbolo de Aurora en un poste blanco en una entrada. La entrada al festival! Lo habíamos logrado! Una vez que llegamos, estaba un poco sorprendida por la poca gente que había, pero a medida que se iba desarrollando el festival me di cuenta de que era algo bueno, iba a ser un ambiente mas íntimo. Decidí tomarlo con calma el primer día, conocer a nuestros vecinos y explorar los alrededores. 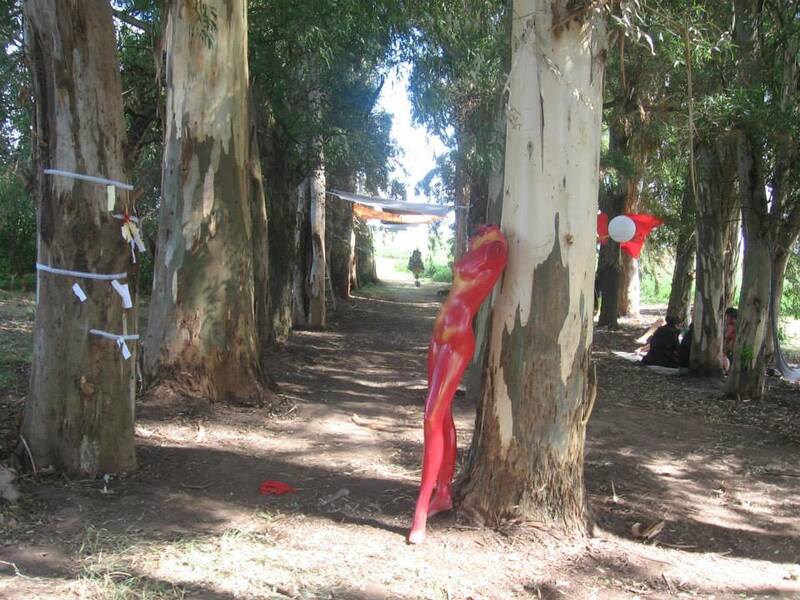 A unos 5 minutos a pié de la zona de acampe había un bosque, el cual estaba decorado con maniquíes multicolores y otros diversos objetos, como lamparitas y un teléfono. La cabina del Dj también estaba ahí y en una gran parte de pasto justo detrás, estaba acostado el hombre de madera. Tras pasear un rato, me uní al asado comunal y a conversar con los demás mediante algunas copas de vino, para de a poco estar al lado de la fogata. 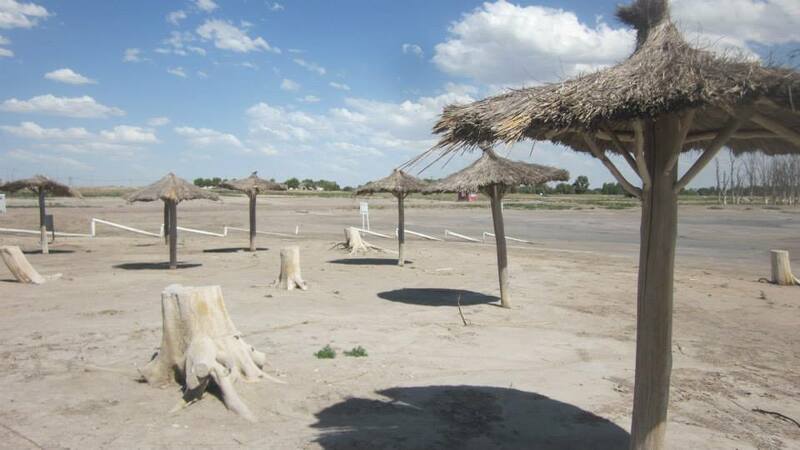 El calor sofocante hizo que prácticamente fuera imposible dormir, por eso nos despertamos temprano y nos fuimos al lago a nadar un ratito. La temperatura del agua era perfecta, el barro blandito del fondo masajeaba mis pies, entonces observé a mi alrededor y no puede ver nada, mas que solamente árboles, mariposas y lo que parecían ser interminables campos de maíz. 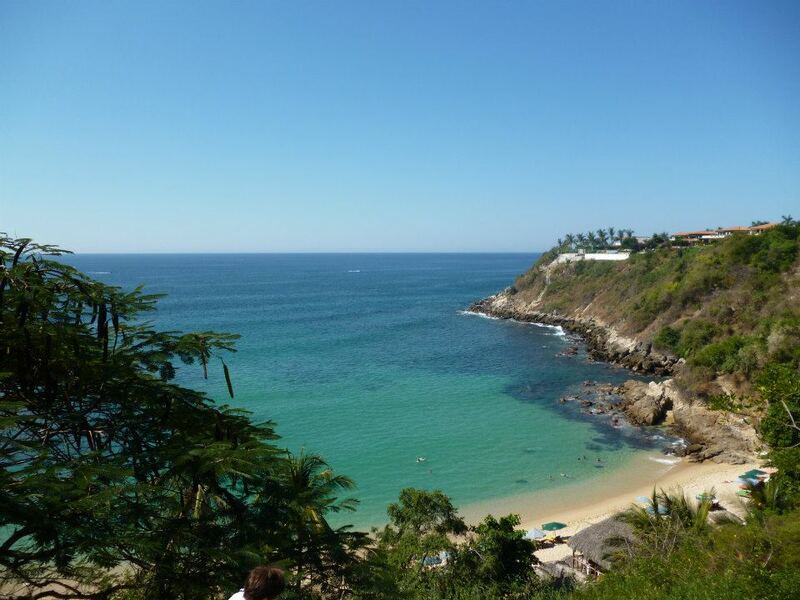 Estábamos tan lejos como se podía y eso me hizo increíblemente feliz. Las personas encontraban diferentes formas de pasar el rato durante el día, los mas activos recorrían, jugaban con una pelota de fútbol, hacían kayac a lo largo del lago, otros simplemente se relajaban con la música y jugaban a las cartas, otros dibujaban o fumaban. A medida que el sol se puso, todo el mundo se vestía con sus trajes y paseaban por ahí dando regalos como chupetines, silbatos, pulseras de colores y stickers. Inesperadamente hubo un casamiento esa noche, el cual fué llevado a cabo por hombres con máscaras, vimos a la novia y al novio cubiertos de espuma, como espectadores aplaudimos, sacamos fotos y les tiramos arroz. En el Bosque varios Dj´s pusieron una variedad de música que iba desde Ambient, a Techno y hasta Trance, mientras nosotros bailábamos y agitábamos nuestras pulseras de colores en el aire. El frío se iba apoderando cada vez mas de nosotros por lo que nos fuimos a sentar junto a una fogata a poco metros de ahí, una vez allí charlábamos con quienquiera que estuviese ahí y al ratito volvíamos a la pista. Fue realmente fácil perder la noción del tiempo, y de repente me di cuenta de que se estaba haciendo de día y los pájaros empezaron a cantar, el tercer día del festival había llegado. Nuestro último día fue muy bueno, no habíamos dormido mucho (otra vez), pero me sentía muy contenta de todos modos. 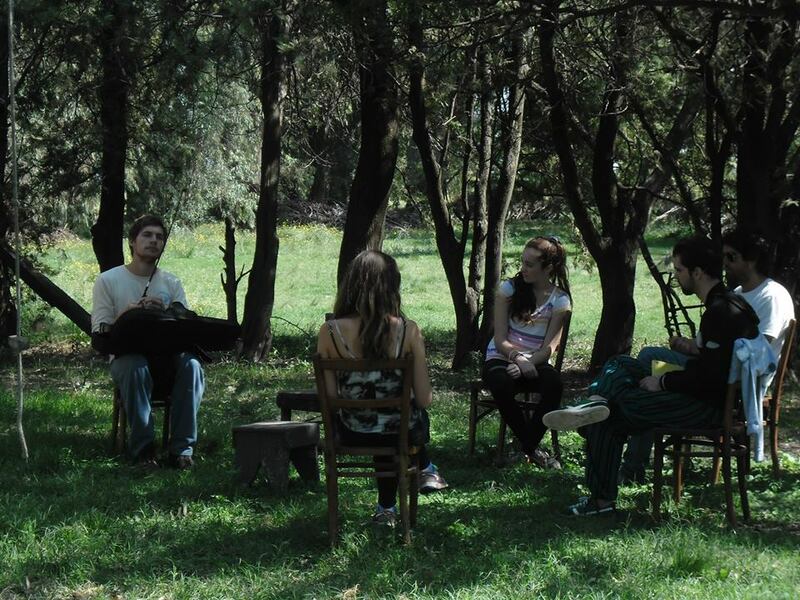 Caminamos, nadamos, cocinamos pizzas en la parrilla, vimos tocar una banda en vivo en el bosque, nos estábamos preparado para el momento culmine del festival: ver al hombre arder. Fue todo un espectáculo, comenzó con una procesión desde el camping hasta la cima de la colina, en donde había sido levantado y estaba listo para ser quemado. Le acercaron ramas encendidas y la multitud se puso de pie para observar, aplaudían y vitoreaban cada vez más fuerte mientras mas se quemaba el muñeco. Algunos tenía gongs y tambores, incluso un hombre mientras tanto tocaba el violín, lo que hacía que sea aún más místico y dramático. Al ratito, cada parte del muñeco ya se había caído y cuando hasta la última astilla de madera se convirtió en cenizas, desde la cabina del Dj los sonidos, el ritmo volvió a sonar una vez mas. Más máscaras, más baile y los episodios más extraños tuvieron lugar, como ver a un bebé Armadillo correr a través de la multitud, íbamos a seguir de fiesta toda la noche. El clima soleado y la suerte que habíamos tenido finalmente nos abandonó en las primeras horas del martes, el último día del festival. Una vez que nos dimos cuenta de que el agua de lluvia entraba por nuestra carpa y todo lo que teníamos se estaba empapando, nos levantamos, guardamos nuestras cosas en bolsas de plástico y rápidamente las metimos en el auto. A la salida, el coche se quedó atascado en el barro tres veces y lo tuvimos que empujar, pero finalmente pudimos volver a Bragado, ahí nos sentamos en un café en una estación de servicio, y tomamos un poco café caliente. No fue el mejor final para la fiesta, pero nos habíamos recontar divertido, por lo que hacía que todo eso valiera la pena, no tengo mas que buenos recuerdos de Aurora 2014. 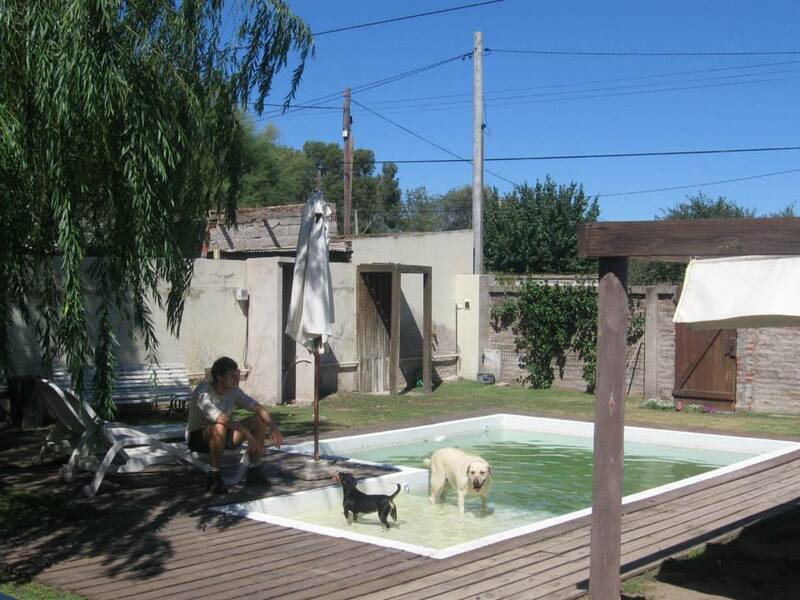 As it’s so humid during the summer months, the city of Buenos Aires becomes a pretty unpleasant place to spend much time in, so many people escape to the coast or visit nearby towns in the provinces. A popular choice of destination is Tigre, for although the town is nothing to write home about, lining the delta are a number of beautiful, tranquil islands where you can pay to spend a day or camp overnight. As usual, I wasn’t very organized and didn’t do any prior research into camping, so was fairly shocked when we were told it would cost AR$170 per person for one night, which was far more than we’d expected (or brought along with us). Needless to say, we spent the rest of the afternoon trying to find an alternative and by the evening, we were on a bus heading to a different town where we’d heard that camping was cheaper. There was a clear reason for that though; the campsite was right in the middle of the ghetto and, after a random woman on the bus overheard us discussing our plans, she urged us not to go unless we wanted to get robbed. With that, we simply got off the bus and returned to where we’d started. After a few beers, the patch of grass we’d been lying on beside the riverbank began to seem like the most appealing place to spend the night, so we took off our shoes, laid a blanket on the ground and gradually dozed off. We managed to get about three hours of sleep before the police came and insisted we move on, so we did- to the plaza just across the street. After another two hours, they returned and explained to us in rather impatient tones that they didn’t want to catch us sleeping outdoors again. By that stage it was 7am, so we just decided to stay awake and pay for day access to one of the islands. We were obviously still half-asleep though, for we managed to miss our stop on the boat and after forty minutes were told we’d have to get off and wait for one going back in the opposite direction. 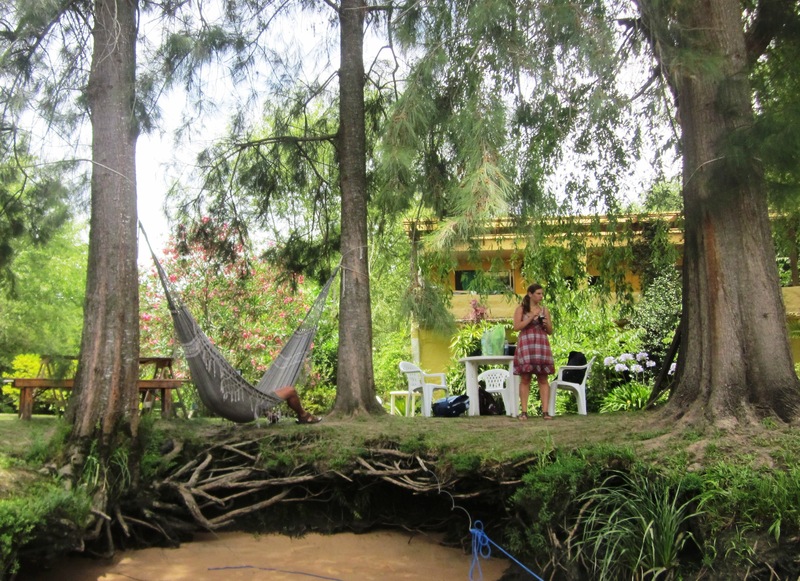 The stop we disembarked at was for a tiny island owned by a man who’d transformed his house into a delightful restaurant, and who allowed us lie back in his hammocks and listen to music in return for a few swigs of Quilmes. We ended up spending most of the day on this island, enjoying the peace and quiet, the lovely views over the delta and the strange little furry caterpillars, who were pretty much all we had for company. Eventually a boat arrived and we reluctantly hopped on it to return to Tigre, passing the island we’d intended to visit initially and thanking our luck that we’d missed the stop; it was jam-packed full of people and didn’t look nearly as nice as our spot! Next time we’ll be sure to take a few extra pesos along with us so we can buy lunch at Matilda Cocina Casera and spend the entire day there. Last weekend, a couple of friends and I decided to visit Villa Epecuén, a ghost town in the Buenos Aires province, which re-emerged after being destroyed by floods in the ’80s and subsequently abandoned. On Friday evening, we all hopped on a rickety train which I thought would reach the neighbouring city of Carhue just three hours later; needless to say, it turned out to be an eleven-hour train ride, and we didn’t arrive until the following morning! It was undoubtedly worth every hour though, as well as the hangover that came with ‘accidentally’ finishing all our wine on the journey. After breakfast, which consisted of coffee, croissants and ice-cream, we pitched our tents at a local camp site, then began exploring our surroundings. We hired bikes, cycled to the nearby salt lagoon, whose salinity level is topped only by that of the Dead Sea, grabbed handfuls of the squelchy mud which lay at the bottom and proceeded to have an epic mud fight. Once that got old, we simply lay back and floated upon the dense waters, soaking up the sunshine and savouring the peaceful atmosphere. Later on, once the sun had gone down, we returned to that same spot to perch on the rocks and gaze up at the millions of stars. On Sunday morning, we awoke to storms and such strong winds that our tents almost blew away. Not the types to be easily defeated though, we got back on our bikes and cycled (against the wind) to Villa Epecuén, passing the sinister matadero we’d visited the previous day and lines of dead trees that had turned white from the salt. 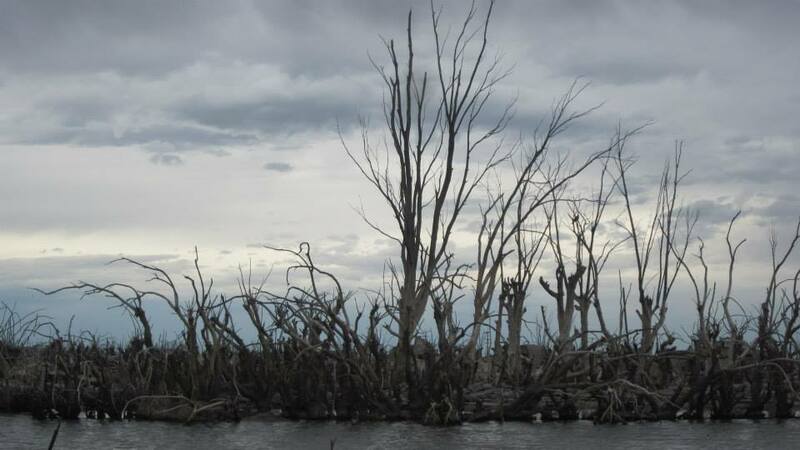 Upon arrival in the town, each of us shuddered at the eeriness created by the deathly silence and further enhanced by the dark, stormy skies. What were once people’s homes, hotels and restaurants now exist only as piles of rubble and, although it is of course heart-wrenching to see the dire effects caused by these floods, it was a strangely beautiful sight. The most haunting was an old playground, where the seats of the swings had fallen off but the chains continued to creak as they swayed gently in the wind. In the north of Patagonian Argentina, just a few hours away from the Chilean border is El Bolson, a mellow town where a vast number of hippies migrated to from Buenos Aires back in the 1970s. One afternoon, while visiting the local feria artesenal, I caught sight of four men laughing over a bottle of wine and I think it was just because they seemed so approachable that I found myself walking over to them and introducing myself. Five hours later, I was still there, slightly dizzy from the cheap wine and the thrill that came with meeting such wonderful, charismatic people, who appeared to be equally happy in my presence. When one of them asked if I’d like to join them all in the mountains for a few days, I instantly knew it was going to be one heck of an experience and didn’t hesitate in saying yes, before returning to the hostel to pack my bags and check out. I ended up spending a whole week in this small, remote house in the mountains where I was suddenly experiencing the real Argentina; rather than sitting in the hostel watching other backpackers stare at their iPads, a trend which has unfortunately become so commonplace, I was watching local artisans make their jewellery and, rather than browsing the stalls down at the market, I was standing behind them helping my new friends sell. I spent those days with the artisans working at the market, preparing endless vegetarian meals (it appeared I was the only one who wasn’t against eating meat), trying my hardest to participate in conversations, though my Spanish was broken and their English was non-existent, and dancing around the fire as they played a variety of musical instruments until I was too exhausted to stand. 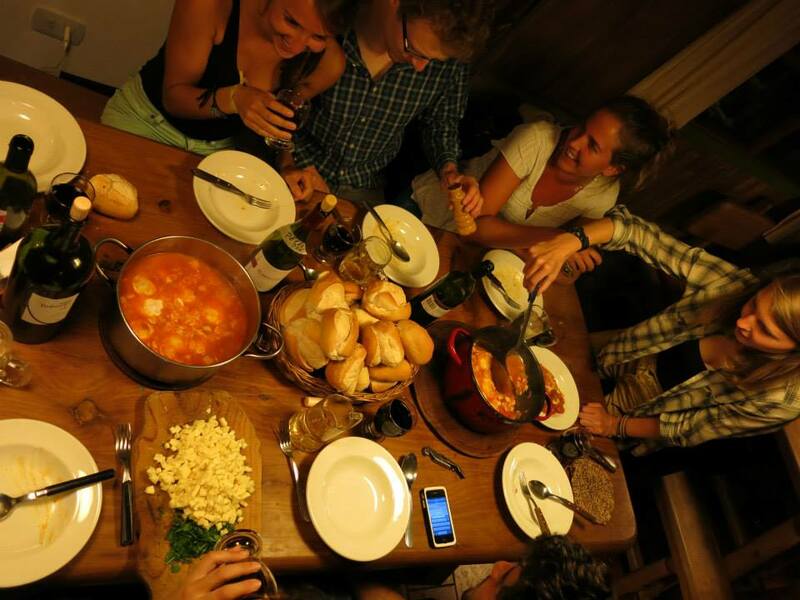 One evening, we visited some friends of theirs who had invited us round for dinner and everybody sat on the floor with no plates or cutlery, eating out of the pots with their hands. I secretly loved the fact I could finally enjoy my food properly and make a mess, knowing that nobody around me cared. By the end of my time in El Bolson, all the other market vendors in this small town recognised me and I never walked past one without receiving a wave, a cup of wine or a brownie loco (if I was lucky). I had begun to feel like a local, rather than a tourist, which I loved although eventually I had to tear myself away so that I could continue with my travels. It was a truly amazing cultural experience, however, and one that I shall never forget. 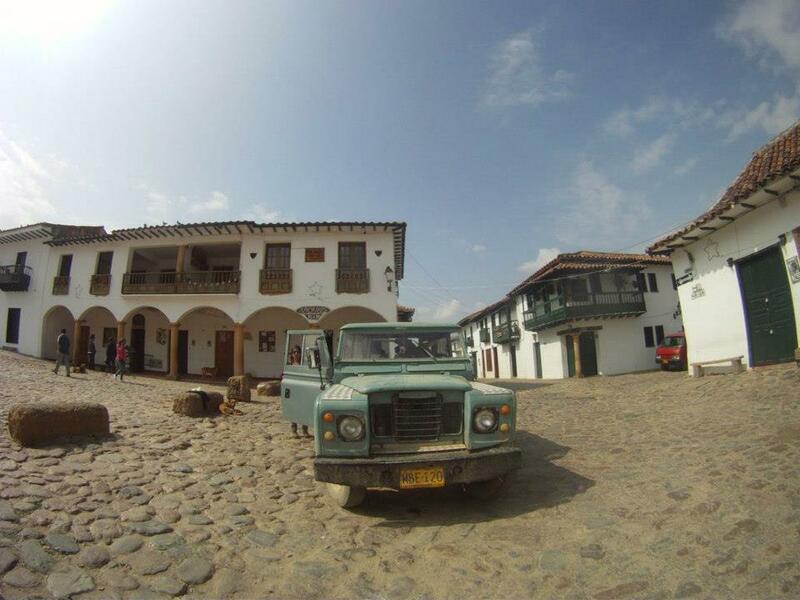 While staying in Bogota, two girls from my hostel and I decided to go to Villa de Leyva, a delightful little colonial town just three hours away, so that we could get out of the city for a while. Admittedly that wasn’t our only reason for making the trip; we’d heard that Villa de Leyva was famous for a particular type of magic mushroom, which we thought we’d managed to locate on our first day, however as we weren’t convinced, we decided to do a bit of online research. 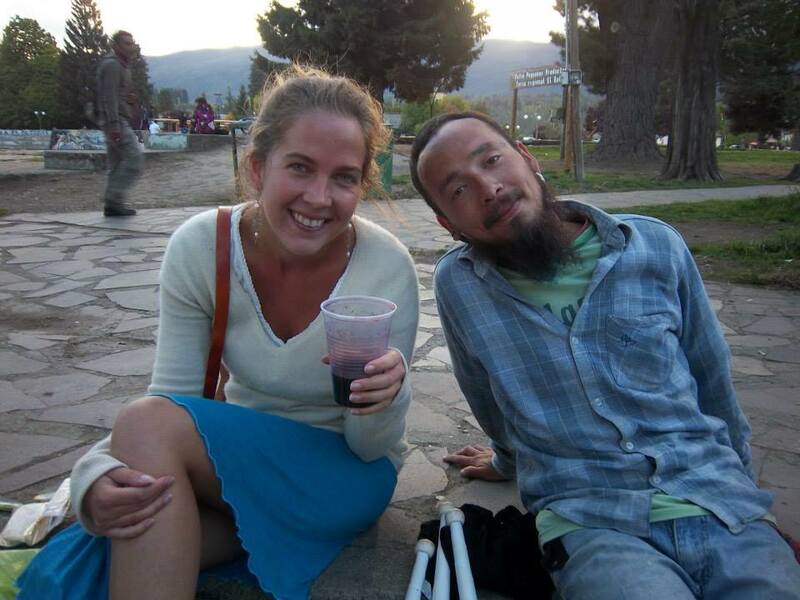 Almost instantly we stumbled upon a blog post written about Villa de Leyva from 2009, in which the blogger mentioned a man named Andres and provided a number should we need a “source of info”. We each exchanged glances before deciding to go ahead and give him a call. 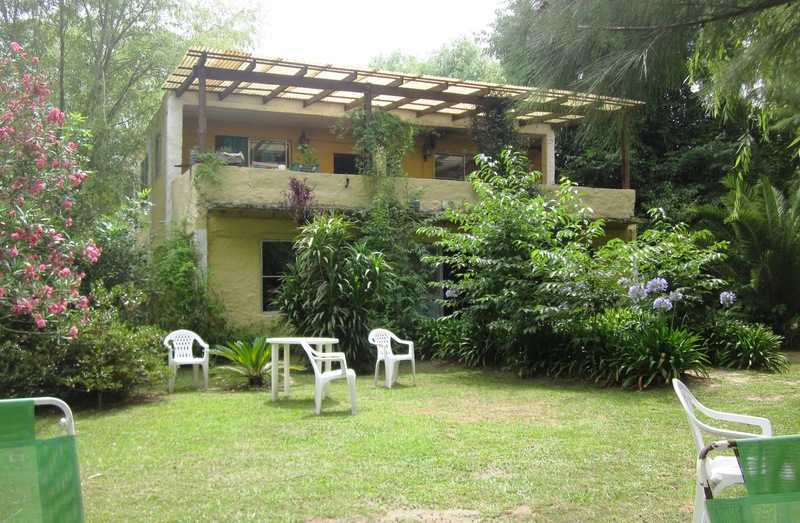 Amazingly, that one phone call led to four wonderful days which were spent with Andres and his friends in an extremely beautiful remote spot in the Colombian countryside. 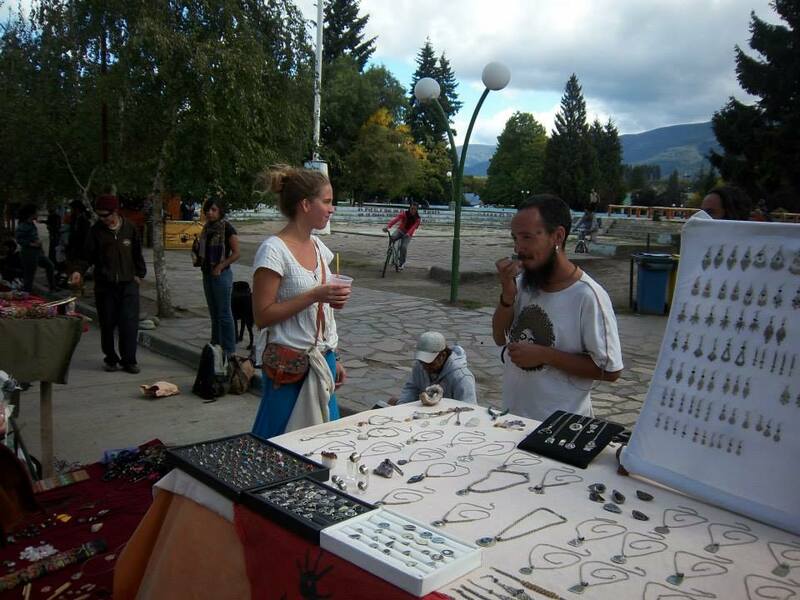 As it transpired, we’d picked dodgy mushrooms but Andres had some of his own, which he offered to share with us (hooray!) That first evening, he took us to some natural hot springs all lit up by candles, before inviting us to his house where we made spaghetti and smoked endless joints until tiredness eventually got the better of us and we dozed off. The following day was spent meeting the locals and exploring our peaceful surroundings, before settling down to sample the shrooms. Andres prepared a camp fire and a large pot of mushroom tea, which was accompanied by panela, fruit and chocolate, then filled two cups and passed them round the circle. As evening approached, we left to take a walk down by the river and watch the sunset. I stood still in the water for what must have been a good twenty minutes simply staring in awe at the colourful plants along the riverbank which appeared to glow, unaware of the other people or of any sound. Once it was dark, we made another camp fire, poured ourselves more tea and chatted into the night as tiny fireflies flitted back and forth illuminating the black skies. After travelling through Mexico for a month, I felt I’d experienced a good dose of everything; life in the big city – Mexico City – which happens to be the most populated in Latin America, the vast array of beaches along the Pacific Coast, tripe tacos, lethal shots of Mezcal and lavish celebrations on the night the world was supposed to end- thankfully it never did, for my most memorable encounter was yet to come. I had decided to visit the jungle town of Palenque, for I’d heard great things, including talk of a Rainbow Gathering that was taking place. Quite what this was at that stage I didn’t know, but I decided to ask about it when I arrived at the train station and the next thing I knew, I was sitting on a combi with a bunch of scruffy-looking hippies who were heading to the same place. After an hour, we arrived in a beautiful remote setting with no cars, no buildings and no sound, or at least not until we made our way into the heart of the jungle, where I suddenly found myself gazing out over hundreds of half-naked people who were all either singing, playing instruments, dancing around a large fire or resting peacefully on blankets. 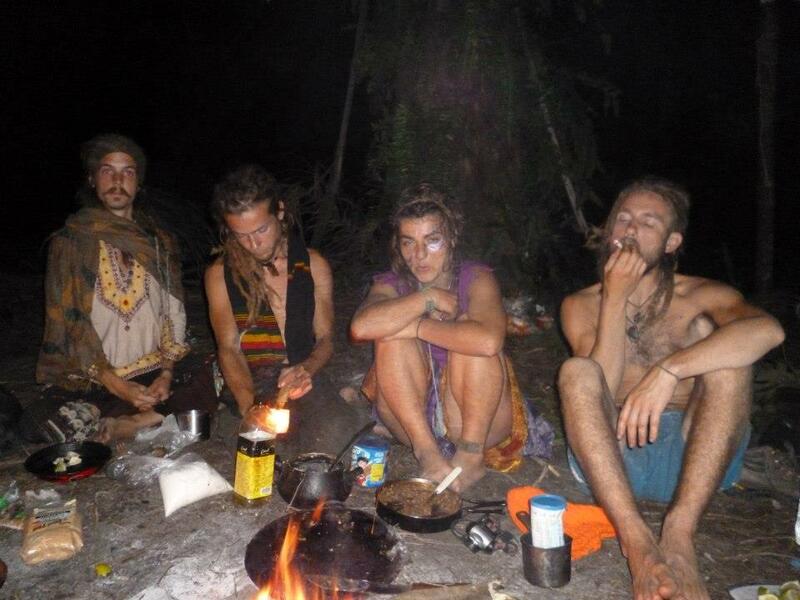 That was my first taste of the Rainbow Gathering, what was to come was a whole other experience. After spending the first night on the ground with nothing to cover me, I woke up to find people bathing naked in the river and couldn’t resist the urge to join them. It was at that very moment that I suddenly understood why so many people had made the trek here; it was a place you could feel liberated, where you could do whatever you wanted and nobody would bat an eyelid. I soon got into the singing and dancing, the walking around naked at all hours of day and night and even the chanting, which was to create a ‘positive energy’ around food and drink. The most impressive part was how well this community functioned with such basic tools for survival, for they had managed to create a kitchen, where hordes of volunteers would help prepare meals for everyone, a theatre and, undoubtedly the most inventive, an ‘earth-pipe’ which enabled you to smoke marijuana through the ground. Absolute genius. You were never short of anything you needed at the Rainbow Gathering either, for they had a trading circle and a system whereby you simply had to shout what you wanted followed by the word ‘connection’ and within minutes, that item would be brought to you. It amazed me, and I still don’t understand how it worked, but it worked every time. After a few days, I was hairy, smelly and had started to acquire dreadlocks, but I’d never felt happier in my life. Returning to the ‘real world’ was a shock to the system and even now I find myself longing to be back in the middle of nowhere with those crazy hippies. 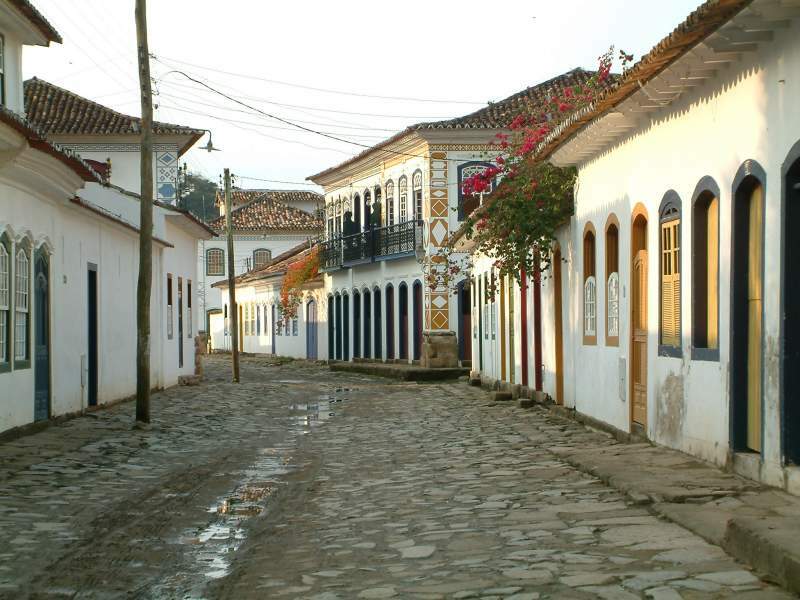 The colonial town of Paraty, located on the Costa Verde in Brazil, is renowned for its cobbled stone streets, historic buildings, magical beaches and jungle. For me it was a wonderful place because everything about it was so unexpected; it’s such a quiet town that I wasn’t exactly hoping for banging nightlife, but on my first night there I found myself at an Afrobeat party on a farm with two girls from Uruguay and a whole lot of Brazilians wearing funny hats. Everyone was dancing under a canopy beside a giant screen displaying trippy visuals, behind which there was a fairly impressive bonfire and several people playing drums. 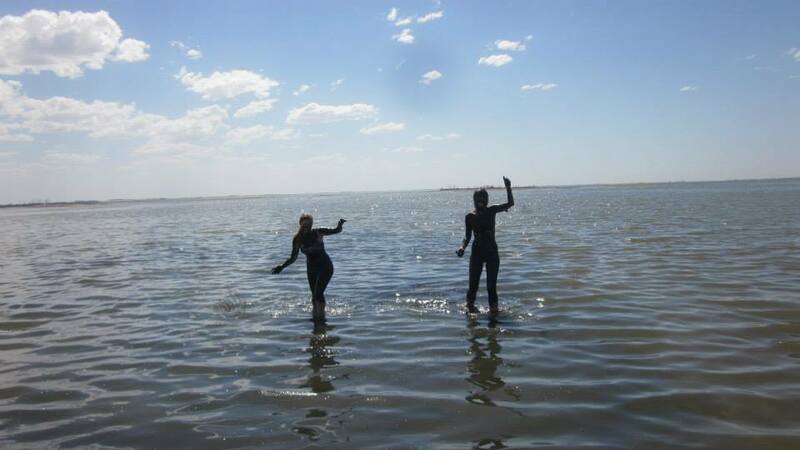 The girls and I befriended some locals, who invited us down to the beach where we smoked a joint and danced in the sea for a bit, before returning to the farm and playing on some giant tyre swings, chuckling at the randomness of the situation. I continued to have unique encounters with memorable people in Paraty, such as the staff at Paraty Beach Hostel, who plied me with tasty but deadly caiprihnas and refused to let me pay for any of the barbecues they prepared. 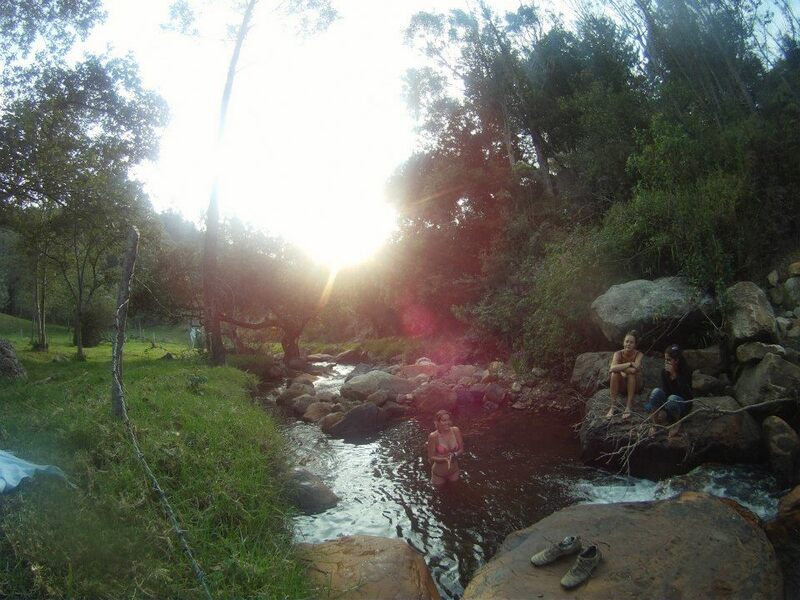 I spent a lot of time with Nico, a South African guy staying at the hostel, and we began embarking on little adventures around the town and its surroundings together. 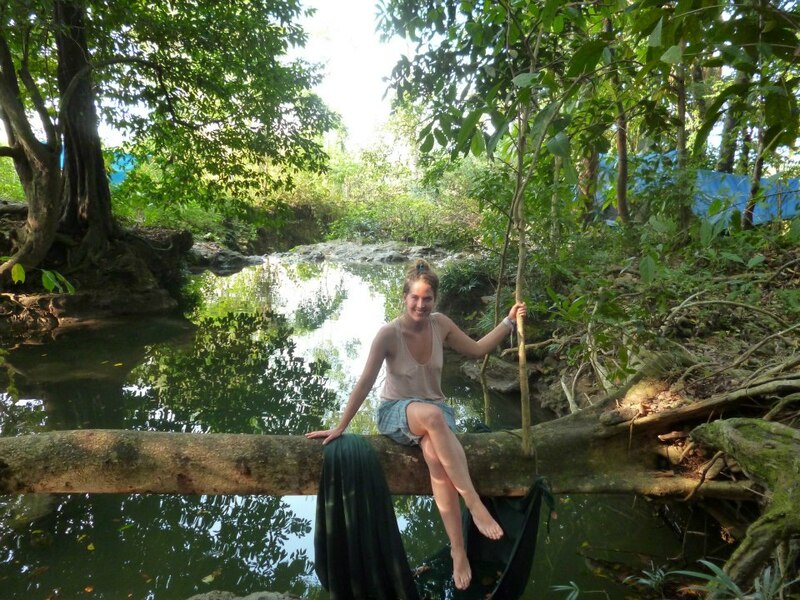 One day we broke into an unused ranch, went for a dip in the river then proceeded to climb to the top of a steep rock, from where we could gaze into the depths of the jungle and watch tiny monkeys in the trees as they swung between branches. Another time, Nico and I spent the morning clambering through woodland in order to reach the quietest, most remote spots along the shore and take advantage of the calm, clear seawater. 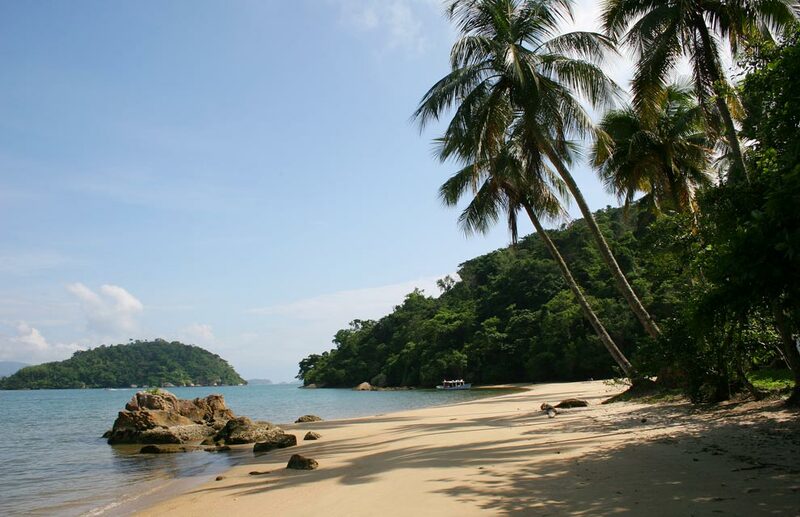 I was reluctant to leave Paraty, especially when I was offered a job at the hostel, however Argentina was beckoning at this stage, so I eventually dragged myself away. It’s an unmissable destination for anyone visiting Rio though and I’d highly recommend staying at Paraty Beach Hostel if you go! 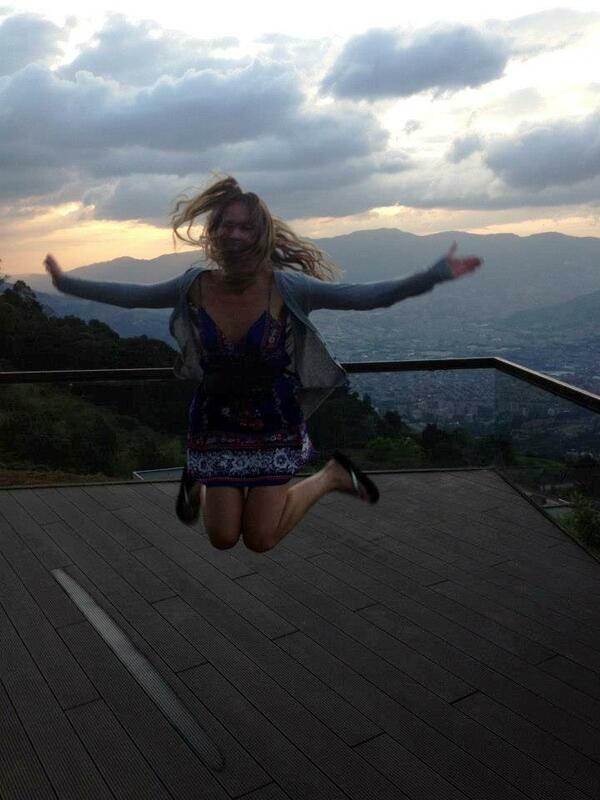 My time in Colombia was brief but certainly very sweet. From admiring street art on the buildings in Bogotá, to embracing the peace and beauty in the colonial town of Villa de Leyva, to endless partying in Medellin, every minute of my time there was well spent. 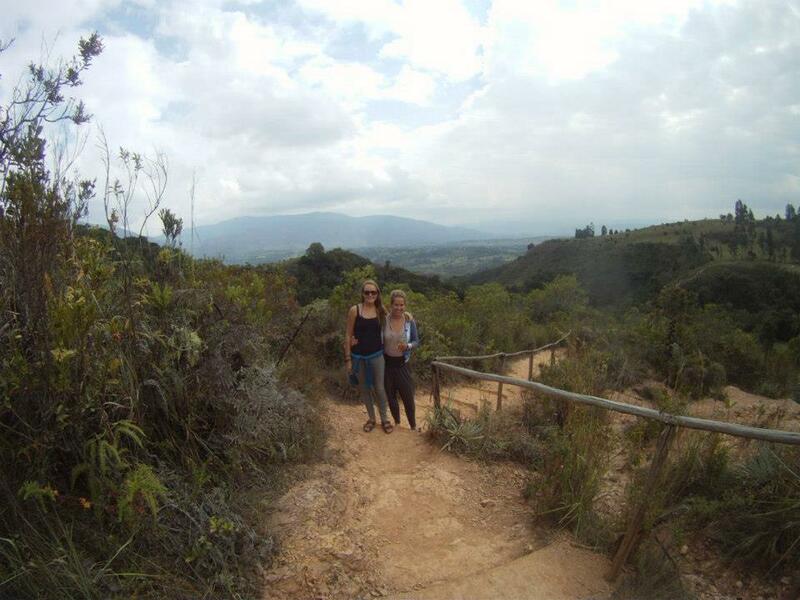 Although the country has many positive qualities, and I could provide endless reasons to go, the thing that impressed me most about Colombia was how friendly and open the people are there. Having woken up unusually early one morning, I decided to visit a café just around the corner from my hostel in Medellin, where I sat writing in my journal whilst eating breakfast. After a few minutes, the guy on the table next to me asked what I was doing and we began chatting. His name was Jerry, he owned a diamond company and what sounded like a pretty plush apartment overlooking the city. I was eager to accept when he asked if I’d like to see this apartment, but felt nervous at the prospect of going to a stranger’s house alone, so I returned to the hostel, dragged my friend Will out of bed and took him along with me. Please click here to continue reading this article, which I entered for a travel writing competition on We Said go Travel’s website. Thanks!